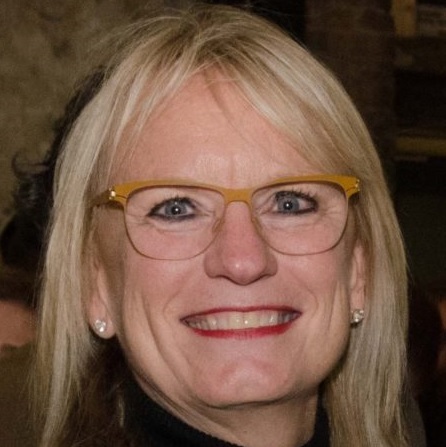 Anne Voshel founded AVA Consultants in 1999 providing Owner’s Representative services, overseeing the zoning, design and construction process primarily for cultural and institutional clients. She was formerly a Senior Vice President with LaSalle Partners, Ltd. (now JLL) and co-head of the Development Management Group, responsible for cultural, performing arts, corporate and retail facilities. She leverages her considerable experience with establishing project objectives, architect selection and the programming process to help clients define their physical space needs and manages the design and construction processes. Major projects completed by Anne include the 240-acre Ameritech Center (Hoffman Estates, Ill.), an architectural design competition for The University of Chicago Booth School of Business, renovation of the Auditorium Theatre, management of the design process for the Modern Wing of the Art Institute of Chicago, the 2018 renovation of the Newberry Library and construction of Lincoln Park Zoo’s penguin and polar bear exhibits and new visitor center. Ms. Voshel is Chair of the State Street Commission (SSA #1-2015) and a member of the Auditorium Theatre Facilities Committee, the Fourth Presbyterian Church Facilities Committee, and the LUMA8 Board. She is an Emeritus Board Member of Landmarks Illinois. Ms. Voshel earned her MBA degree from the University of Chicago and a BS degree in Civil Engineering from the University of Michigan.